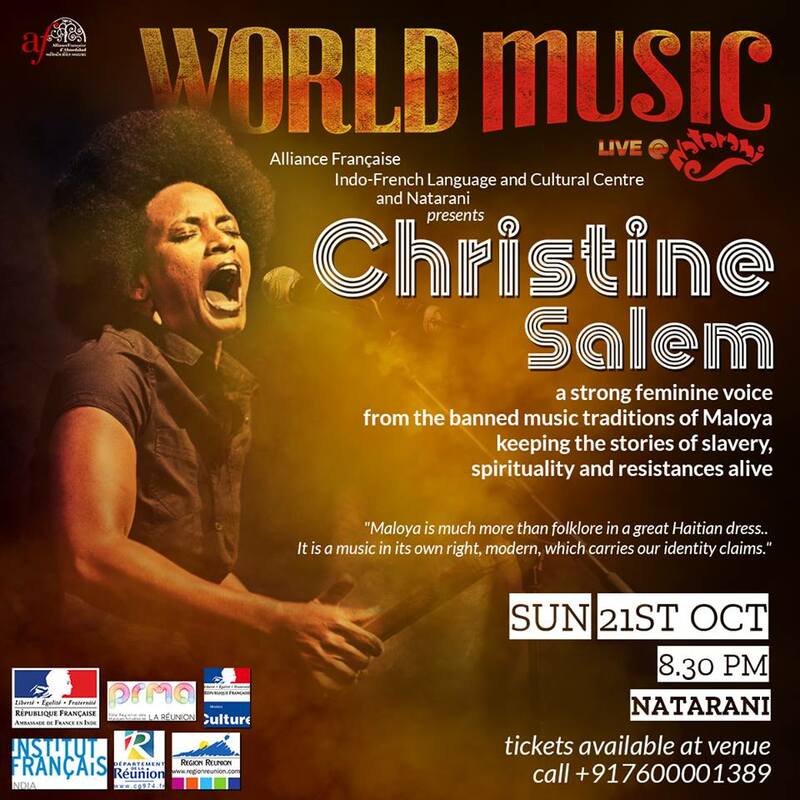 Tickets available at the Venue. 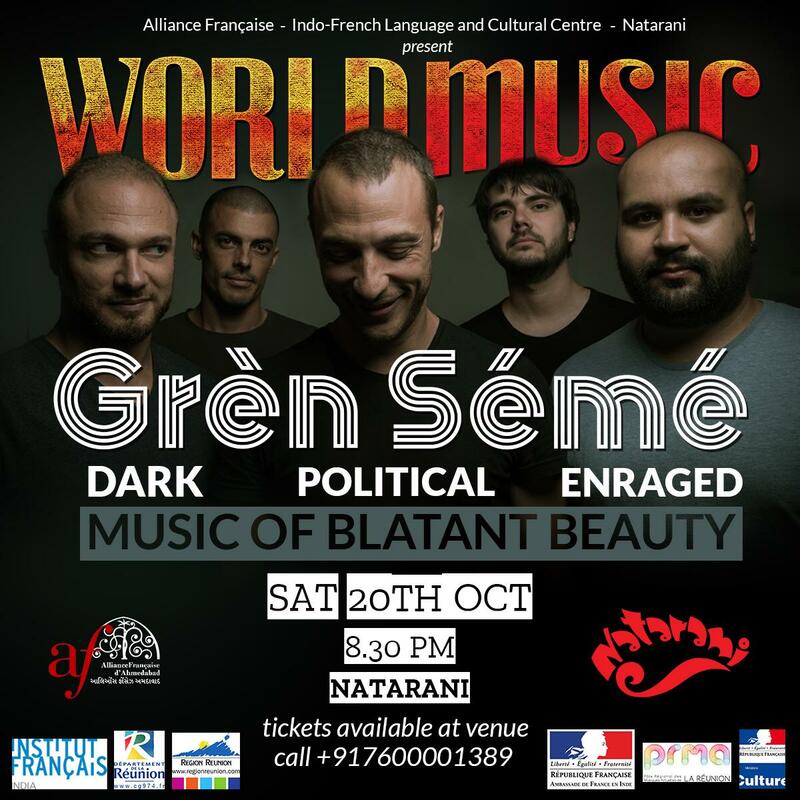 Natarani is proud to announce a new series of WORLD MUSIC LIVE@Natarani events, bringing in artists from all over the world to Ahmedabad, starting this weekend with amazing musicians from the Reunion Island in association with the Alliance Francaise, Indo-French Language and Cultural Centre. 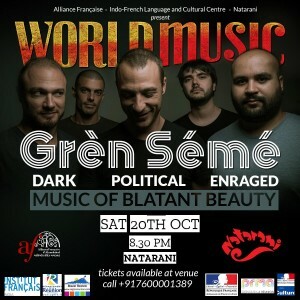 COME GROOVE TO INTERNATIONAL BEATS!